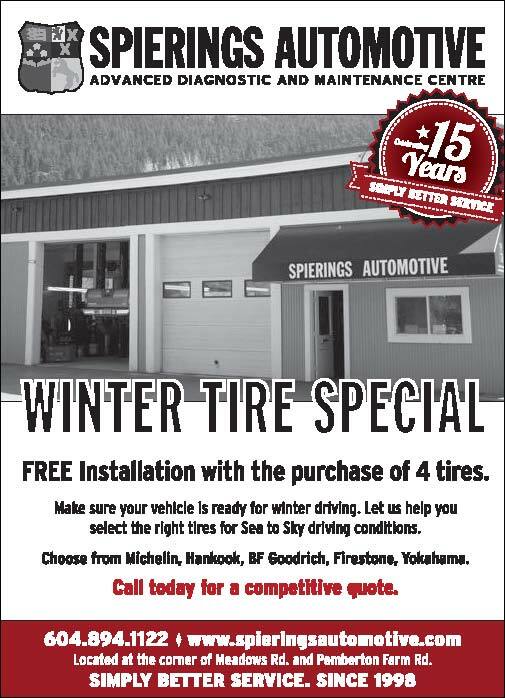 This year, Spierings Automotive has changed our tire promotion to offer you the best value on a great new set of treads. While we’re no longer offering our “Buy 3 Get 1 Free” promotion, rest assured that you’re getting an equivalent or even better purchase price through our new promo. 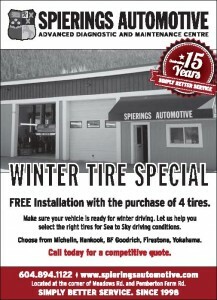 Here’s the new deal: When you buy a set of four tires (or even just a pair of two) we will install them for FREE. Not only that, but we’re pricing very competitively to begin with so you’re sure to get a great price on some quality tires. Our service advisors can recommend a suitable set for your vehicle from great brands like Hankook, Firestone, BF Goodrich, Yokohama, Michelin, Continental, Pirelli and more. If your current winter tires are down to their wear indicators or have less than 4mm of consistent tread depth, its time to replace them. Nothing has as big an impact on winter driving as good tires, so ensure your vehicle is well equipped and stay safe on the roads this winter.